Only a little over a few weeks away from the Baltimore con. I'll be at the Archaia booth both Saturday and Sunday. I'll be signing and chatting as usual. I'll also be doing inked sketches for $40. I'm looking forward to seeing pals Sergio Aragones, Craig Rousseau, and Andy Runton as well as lots of other artists I am a fan of as well. 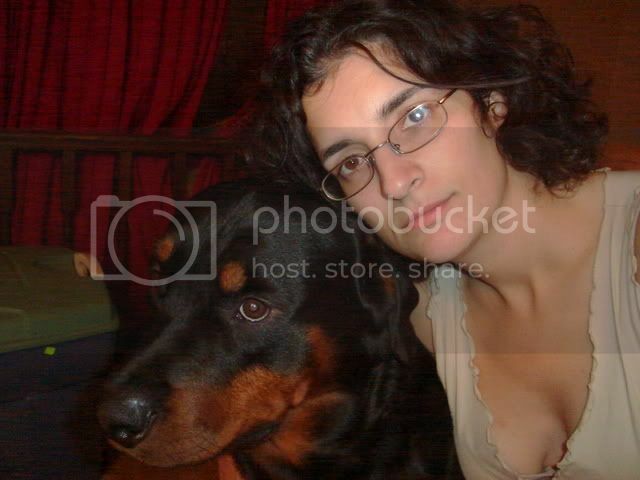 This will also be my last con of the season now that the Motor City show is an anual event. Here is a sketch I did for my pals Morna and Gary I have colored the sketch for inclusion in a later Mouse guard publication. There are some fun developments happening with Mouse Guard items we are working on..things that the fans have asked for. I'm sorry to be a tease, but I can't say much more than that right now, but I'll post things as soon as an official announcement has been made. 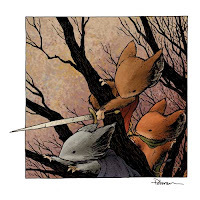 Hey David,I hope all is well.Great news about all the MouseGuard goodness.Congrats my friend!